A very finely painted Qing Dynasty portrait of a Chinese man sitting on a throne with his feet on a foot rest inset with marble. This painting is interesting, not only because it was so beautifully executed, particularly the face, also because it was painted in the Western style and techniques with the Western prospective. 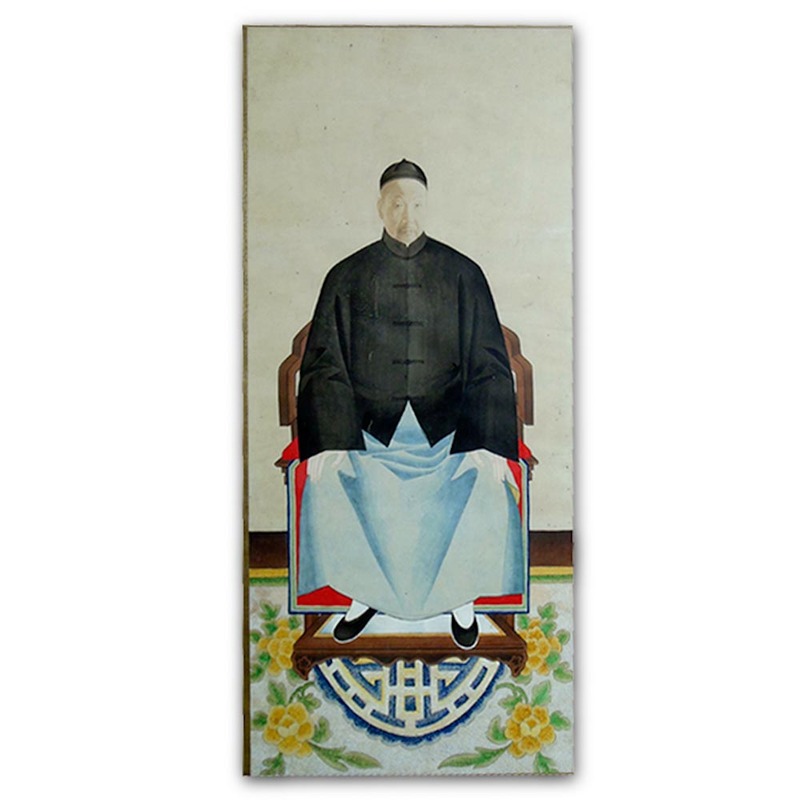 Ancestral portrait paintings were popular in China until photography became widely used.